England is in tumult under the rule of Queen Mary and her Spanish husband. Confined to house arrest at Hatfield House, young Princess Elizabeth is the country’s greatest hope. Far from court intrigues, Elizabeth finds solace in simple things: the quiet countryside and peaceful recreation, including the melodies of her chief musician and his daughter, Kate Haywood. 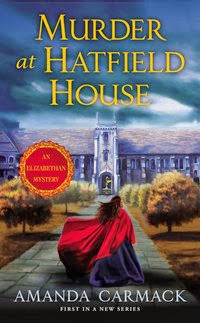 But Kate will prove herself most valuable when an envoy of the queen—sent to flush out heretics in the princess’s household—is found dead on the grounds of Hatfield. Acting as Elizabeth’s eyes and ears, Kate is sent out on the trail of a killer whose mission could destroy her family, friends—and the future of England. Amanda has been in love with the Tudors ever since an accidental viewing of “Anne of the Thousand Days” on TV as a kid! Now she just wishes she could live with them all the time—but there has to be time for writing about them too. 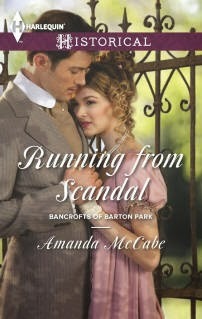 She also writes as Amanda McCabe and Laurel McKee, and her books have been nominated for many awards, including the RITA Award, the Romantic Times BOOKReviews Reviewers’ Choice Award, the Booksellers Best, the National Readers Choice Award, and the Holt Medallion. She lives in Oklahoma with a menagerie of two cats, a Pug, and a very bossy miniature Poodle, along with far too many books. When not writing or reading, she loves taking dance classes, yoga, collecting cheesy travel souvenirs, and watching the Food Network—even though she doesn’t cook. I have never read a cozy set in this time period. I would like to read who the murdered was. I found it interesting that Amanda enjoys watching the Food Network. There have been many books written about ELizabeth and also many books written about as seen through other's eyes. So besides a great mystery, we have another window into Elizabeth's life. Also it is a cozy! On one part of her webiste she gives the history behind each book that she has written. That enriches the experience of reading it. I commented on Giada's Feel Good Food. Nice to see some of you are still keeping up with old Bingo! Thanks for sticking by me. sounds interesting, count me in! I've never read a cozy from this time period. Looks interesting. This author wrote her first romance when she was fifteen. I commented on Giada' s Feel Good Foods. I am fascinated by the Tudors and the Elizabethan Age, but have never read a mystery set in the area. On my first post, I made a typo, which I hate. I meant to say "era", not "area". Having looked at the book list on her site, I really want to read "A Very Tudor Christmas" when it is released in November. That it takes place during the reign of Mary Queen Of Scots. I haven't read cozy historical, and the cover looks almost gothic-y! Thanks for the info and chance to win. Looks like a great mystery and it sounds interesting to read about Elizabeth. I enjoy romances set in the Tudor period, so I think I'd like a mystery set then as well. I commented on the Pioneer Woman Cooks cookbook blog.